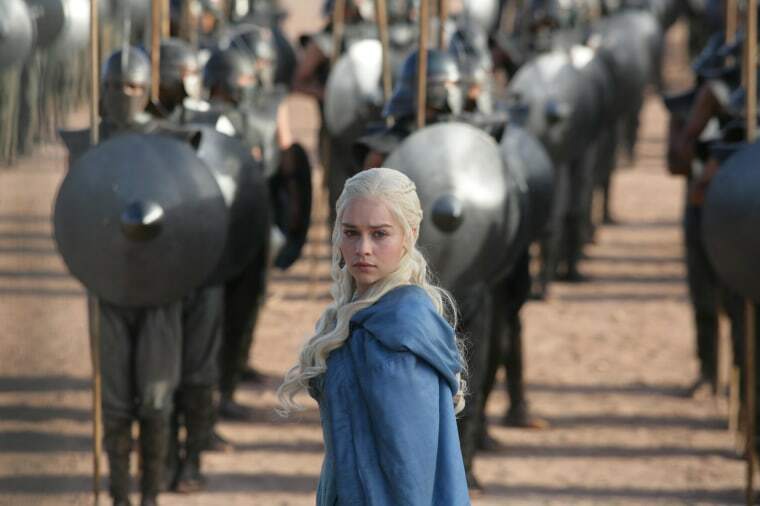 It's no secret that HBO's "Game of Thrones" is one of the most popular shows ever. But it's not just leading ratings on TV — it's also seeing unheard-of levels of piracy. The latest record? Over 200,000 people pirating Season 4 Episode 5 at once using file-sharing protocol BitTorrent. The numbers were seen by BitTorrent news site TorrentFreak on Sunday evening, not long after the episode aired. A single tracker — that is, a server that helps coordinate the swarm of people uploading and downloading the file — was hosting 207,054 people at one point. That broke the previous torrent swarming record set by "Game of Thrones" Season 4 Episode 2. While we don't mean to condone piracy, the sheer scale of it here deserves comment. A few years ago such numbers might have been unthinkable, but now they're commonplace — and only getting bigger. And while some pirates may just be looking to get out of paying for an HBO Go subscription, it's worth noting that piracy is a worldwide phenomenon, and some of those 207,054 could easily live in an area where "Game of Thrones" is not available. Where once they might have had to wait for DVDs to come out months later, now they can watch for free — and only an hour or two after the original broadcast. It's likely hard to say no to that. No doubt HBO wants to turn those hundreds of thousands of pirates into paying viewers. Will they be able to? It's hard to say. But one thing's for sure: there are plenty more where they came from.